BAM10 is a Tekken World Tour Master Event. Meet the International Pros! We’re pleased to announce that our annual major this year, Battle Arena Melbourne 10, will be a Master Event in the Tekken World Tour. As one of thirteen similar events in the full forty-event tour, finishing in the top 32 will see you earn ranking points towards qualification for the Tekken World Tour Finals, held this year in Amsterdam. To find out more about the Tekken World Tour, including event dates, prize breakdowns and ranking point allocations, visit the official Tekken World Tour website here. BAM10 Cosplay Competition supported by Madman Anime Festival! We are pleased to announce Battle Arena Melbourne 10’s official cosplay competition! Join us in your best fighting game costume for a chance to win some awesome prizes and your very own BAM10 Trophy! 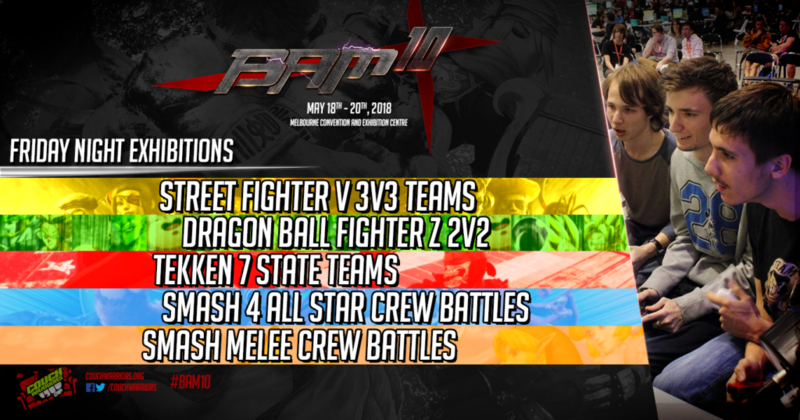 Not only is BAM Australia’s biggest fighting game event, it’s a gaming and esports festival, so we would like to invite everyone to appear in character! This year’s event is proudly supported by Madman Anime Festival and Animelab! Follow the BAM10 Cosplay Facebook event here!